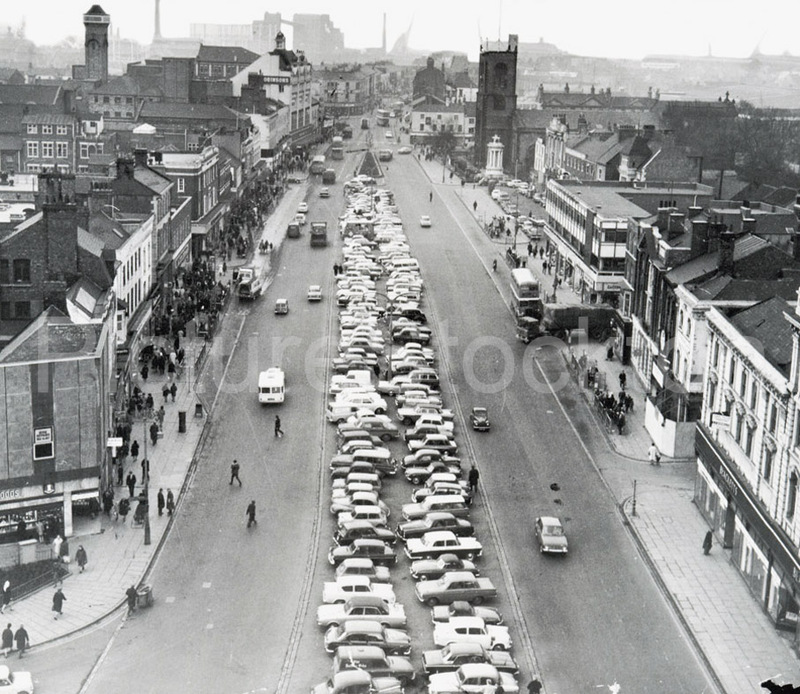 A view showing the south end of Stockton High Street. Photograph and details courtesy of Terry Westwood. I took these series of images on a cold, windy evening in December 2014 around the Riverside, Silver Street, Dovecote Street and the High Street, Stockton. Photographs and details courtesy of Alec Moody. 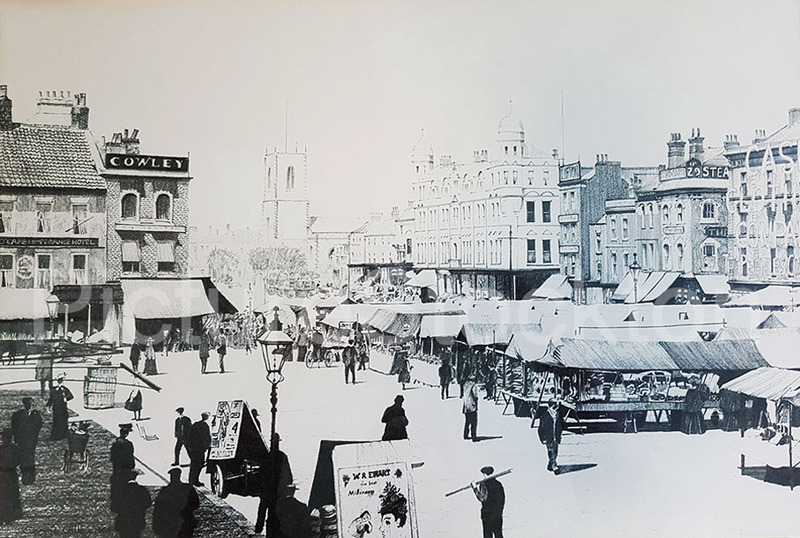 Market Day c1905 – from an original pencil drawing by George Colley. Does anyone have any information about this artist? Image and details courtesy of Peter Storey. A service of dedication was held on Wednesday 16 August to honour the heroic actions of Sergeant Edward Cooper in the First World War. A memorial stone was unveiled at the Cenotaph next to Stockton Parish Church to commemorate the 100th anniversary of Sgt Cooper’s bravery at the battle of Langemark, for which he was awarded the Victoria Cross by King George V.
The Royal Oak at number 20 High Street, Stockton. 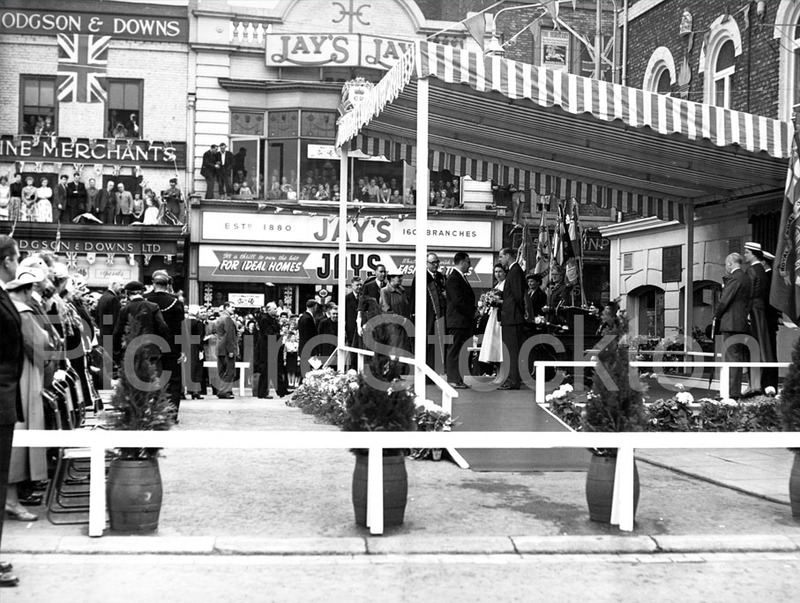 The Member of Parliament for Stockton-on-Tees Mr G.R.Chetwynd talking to The Duke of Edinburgh during the Queens visit to Stockton-on-Tees in 1956. 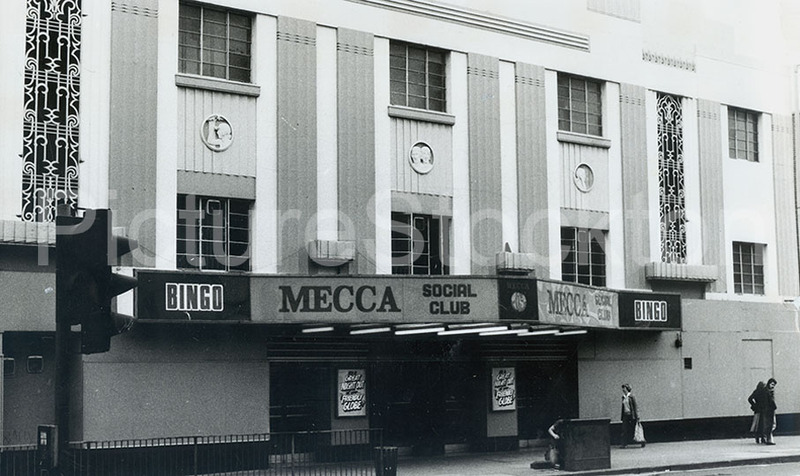 A view of the Mecca Bingo Hall formerly The Globe on Stockton High Street. Photograph by Roz Prichard, courtesy of Carole Prichard. 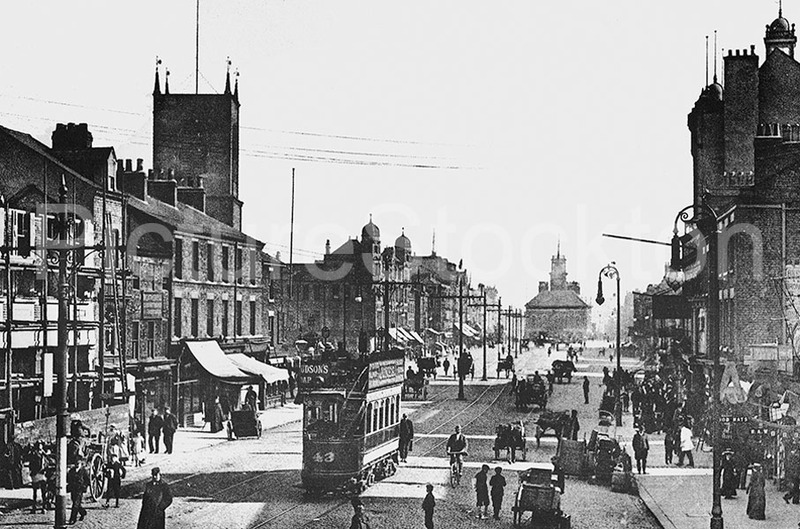 A postcard showing the Town Hall and Stockton High Street c1922. 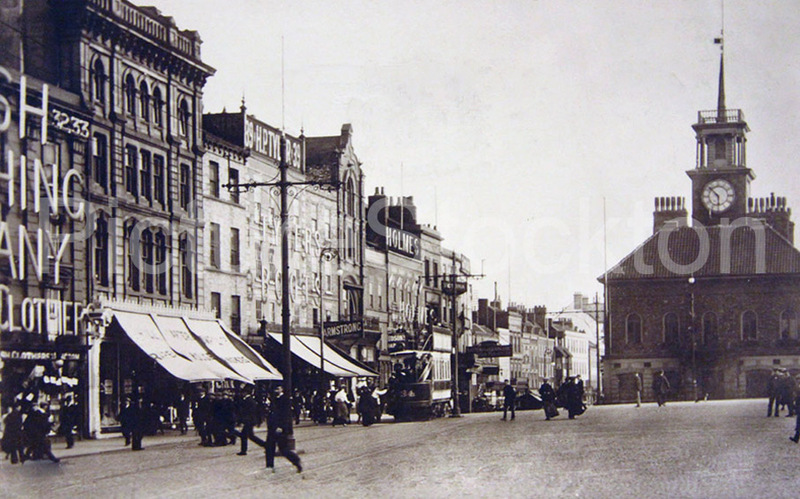 A view from Maxwells Corner c1900. 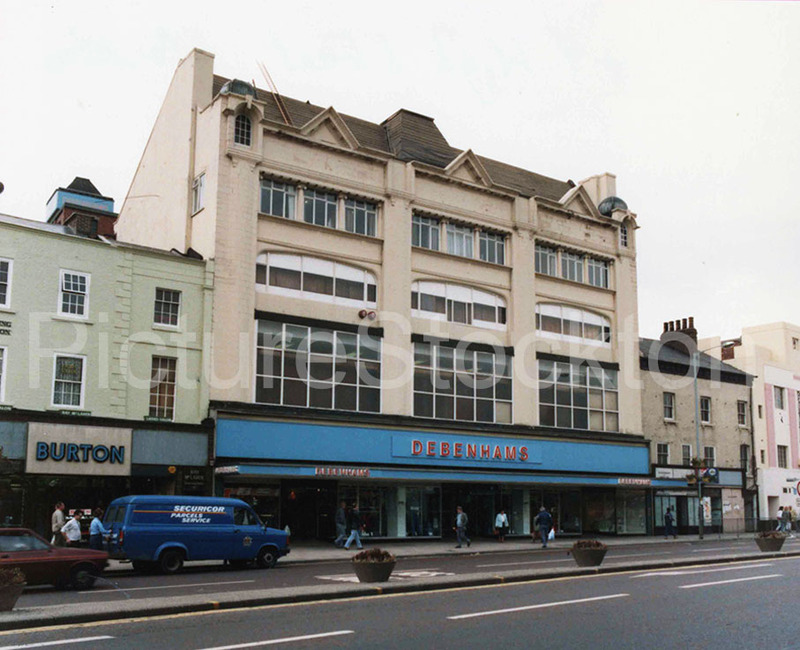 A view of Debenhams at No.149 on Stockton High Street in 1986. 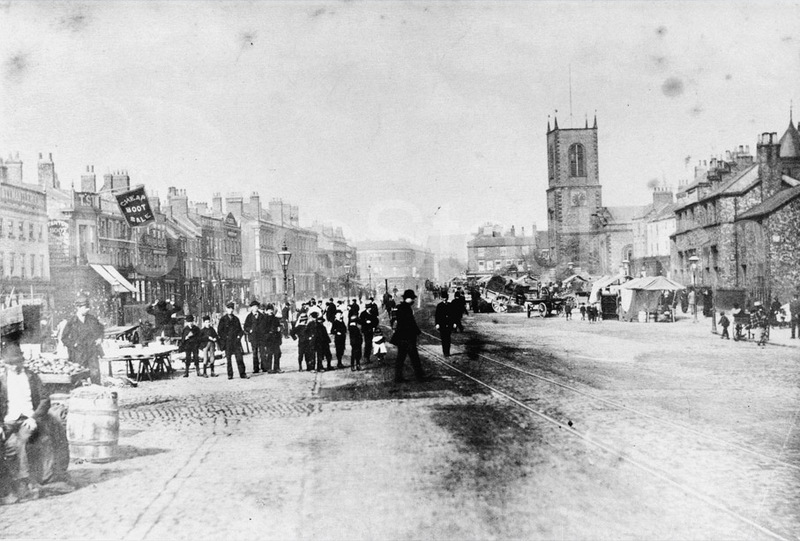 A view of the High Street, Stockton c1890. 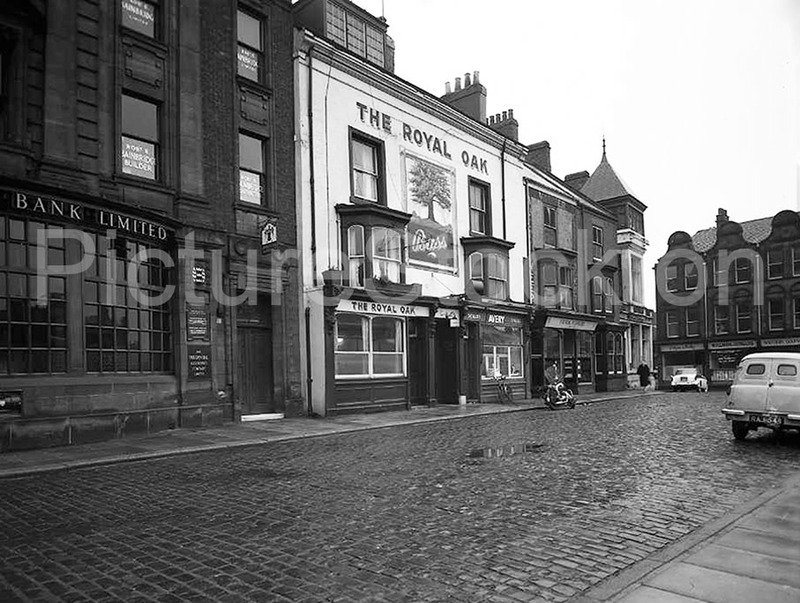 The Alms Houses seen on the right were rebuilt in 1816 by George Brown on the site of the 1668 Alms House. 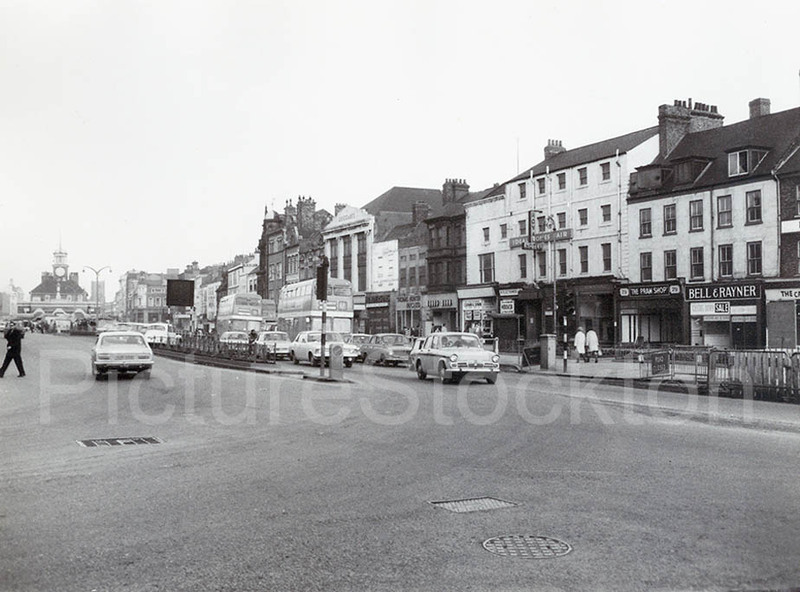 A view showing the north end of Stockton High Street, late c1960s? 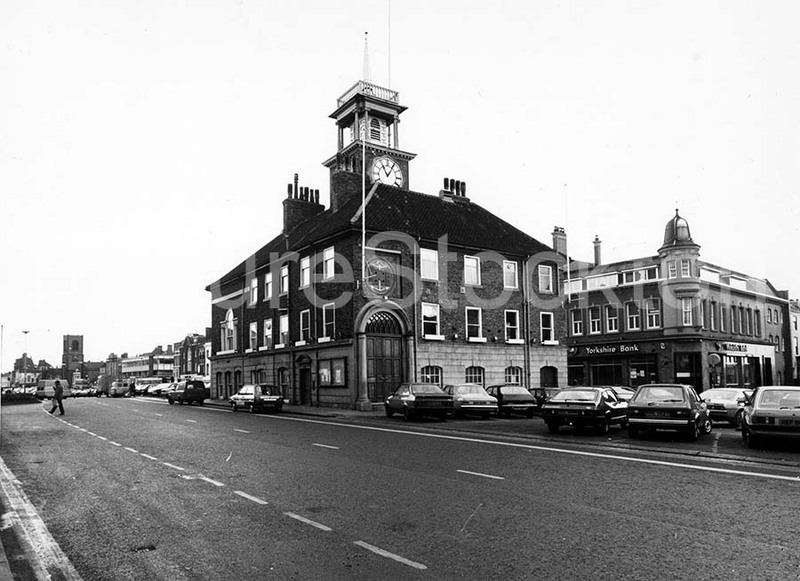 Even then Stockton had it’s floral displays as shown by the hanging baskets on the lamp post, plus there is a Union Jack flying on the top of one of the buildings to the left, something of a rarity nowadays. 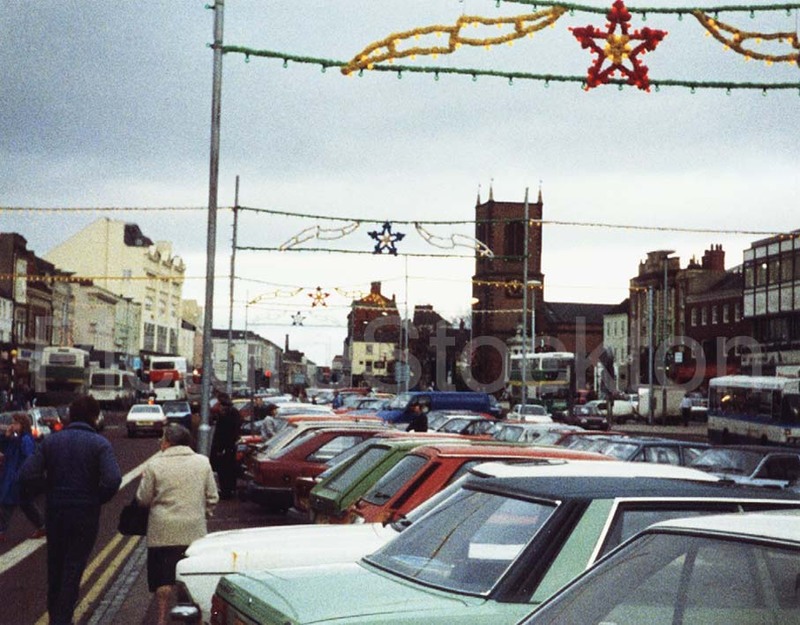 Stockton High Street at Christmas time in 1987. Photograph and details courtesy of Alan Davies. 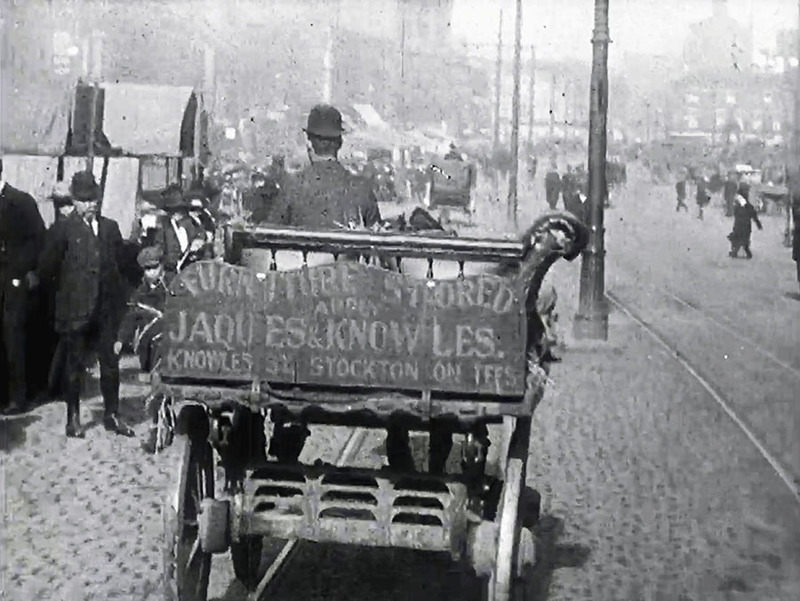 This is a snapshot taken from a British Gaumont film from the early 20th century, film producers would visit a town and film local activities which they would then show at the local theatre/cinema, as you can see the furniture depository was in Knowles Street which of course is still there, the film was taken from a horse and cart being driven along the High Street and shows many young boys messing about as only young boys can and other horse drawn transport as well as people on the footpaths. 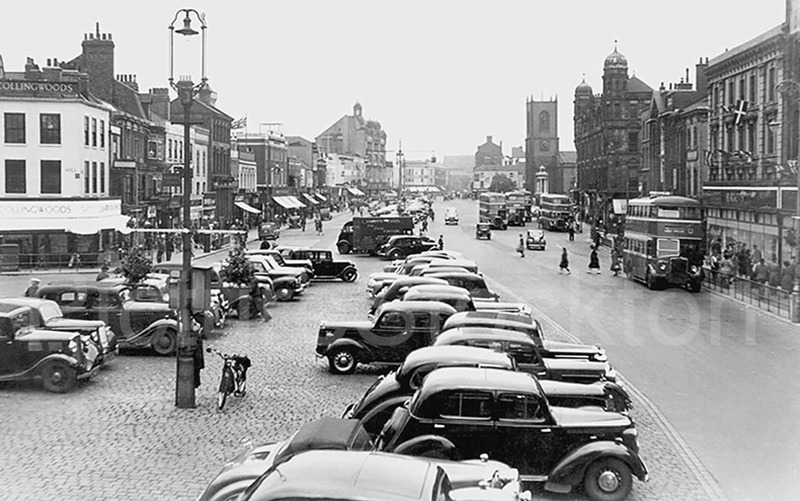 To see this nice piece of local history visit… http://player.bfi.org.uk/film/watch-stockton-on-tees-1910/.